This is where you can see some pictures of the Cougar, I'm sorry if this page loads slowly, there are quite a few pictures on it, soon to be more. 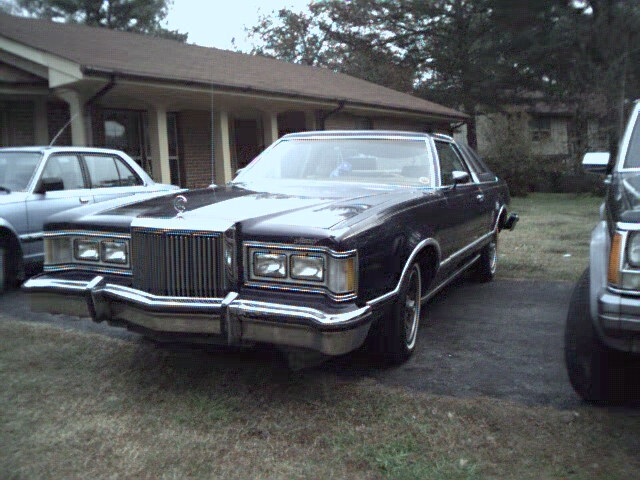 This is my bueatiful car. 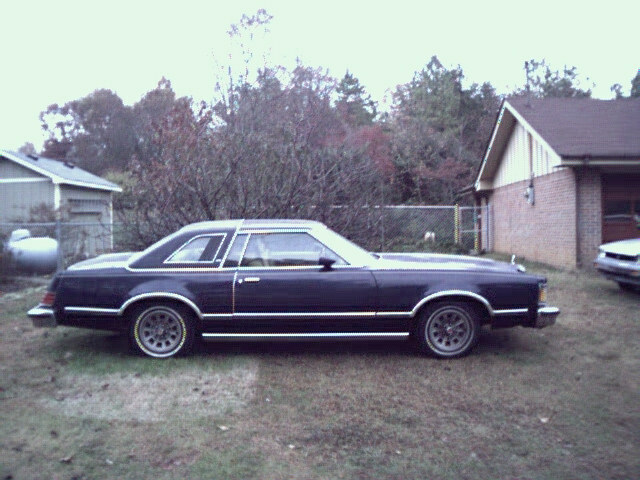 It is a 1979 Mercury Cougar XR-7, it has power door locks, alloy wheels, AC, AM/FM stereo(not functional at this point.) 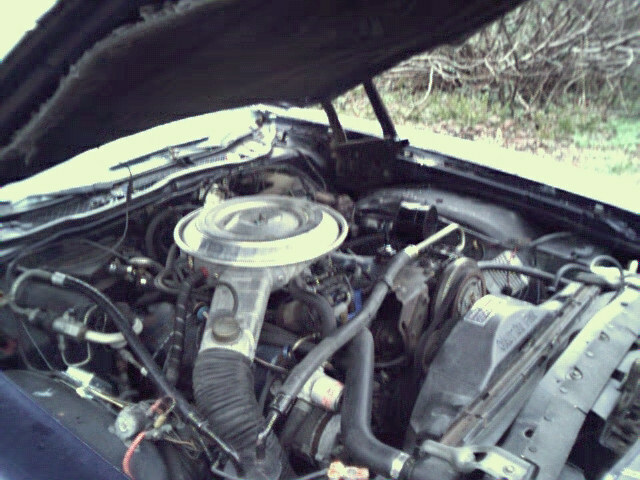 The engine is a Ford 302 5.o litre V8. 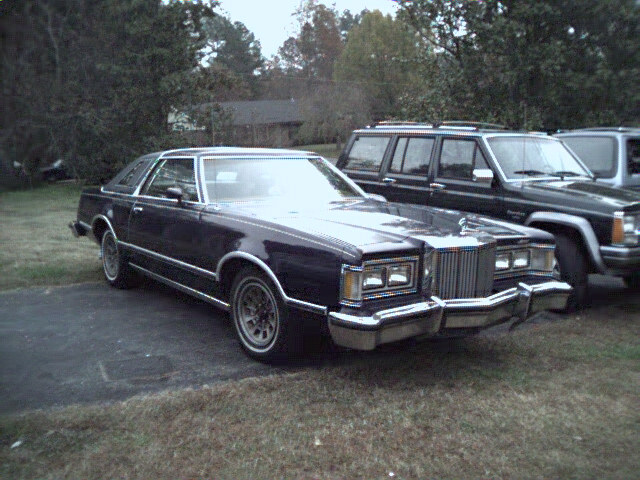 The transmission is a Ford C4 automatic. The car itself weighs roughly 6,000 pounds, almost three tons. The majority of this mass seems to made up of chrome, hehe. This car is 100% stock, and contrary to some of my friends' wishes, it will never be lowered, will never be "pimped out," and won't have an installed sound system beyond the AM/FM stereo (that will work someday). 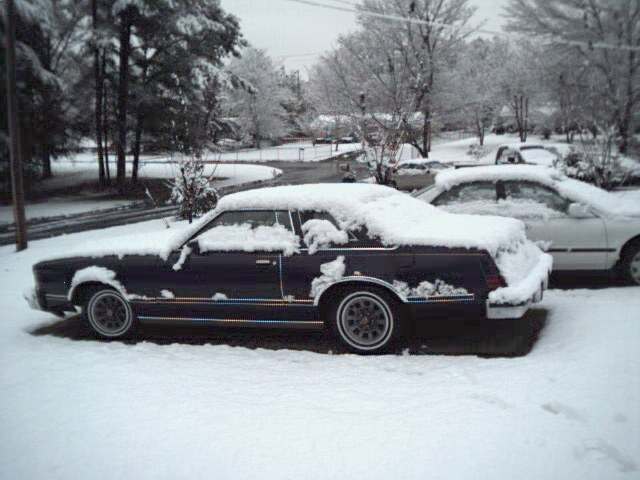 The 1993 Jeep Cherokee in the background belongs to my brother. This is Lulu. 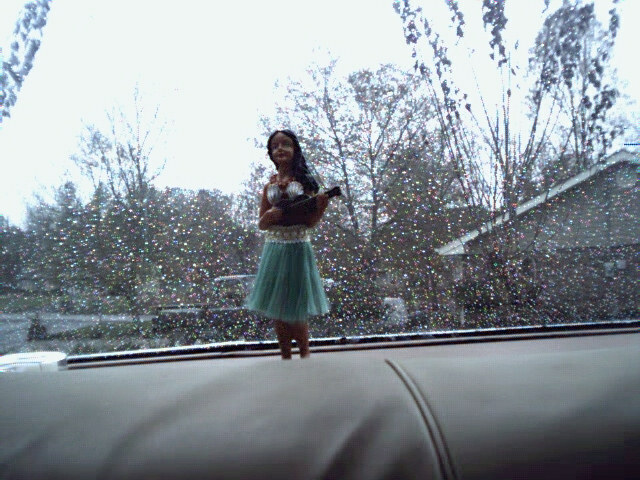 She's a good dancer, and she stands forever on the back dash. 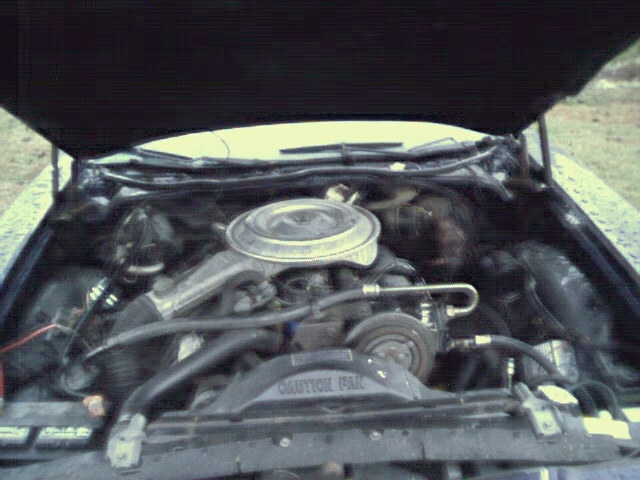 This is a closeup of the engine as it appears now. 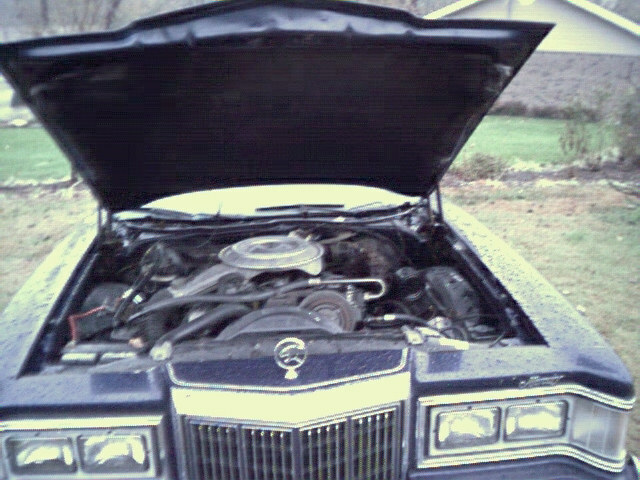 I am preparing for a major detailing job on it now. I'll de-grease it, and likely repaint the dulled components. I am hoping that most of the appearance issues will be resolved by a quick Simple Green job and an engine wash. I'll most likely clean off the air filter casing with some denatured alcohol, to make it really shiny. Here is a side view of the "Lead Sled"
This is the Lead Sled as seen from the back seat. 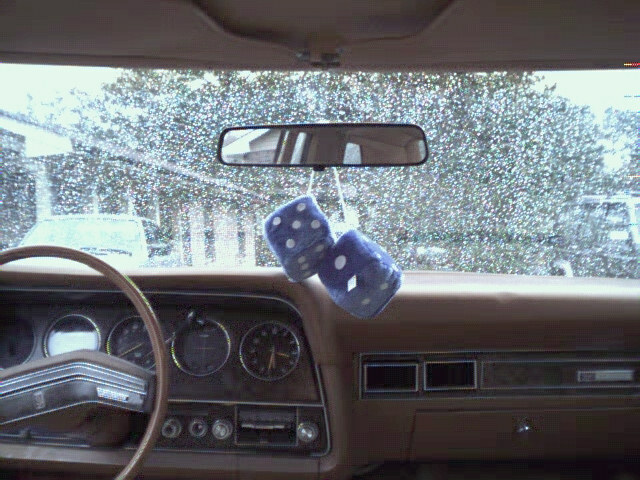 Note the blue fuzzy dice. Here is a view of the front of the car with the hood up. 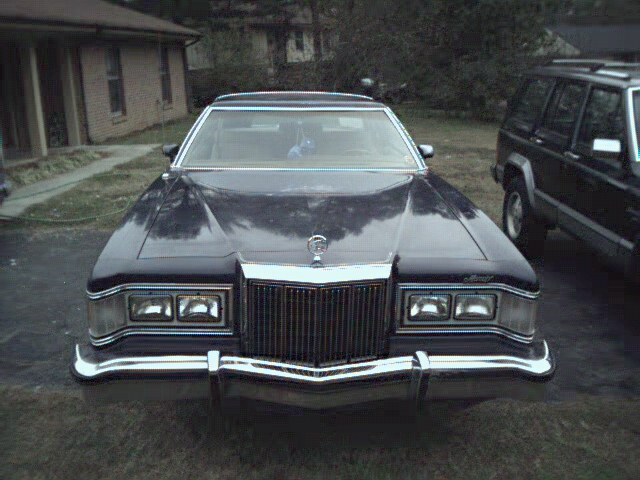 Here is a front view of the bueatiful car. I didn't even try to start it that day. Just another view of the monster's heart. What do you think of my Cougar? Click on "Contact Me," or go to my guestbook to tell me what you think.